Earn $79.90 in VIP credit (7990 points)What's This? 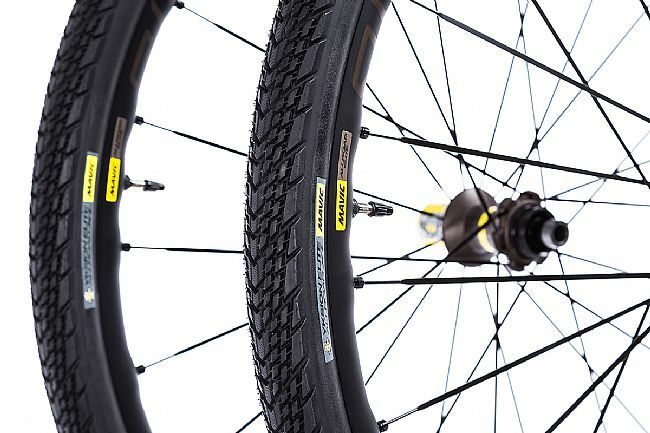 The Mavic AllRoad Elite Disc UST Wheelset is designed to make two wheeled adventures truly adventurous, opening the door to whatever riding surface the day has in store. 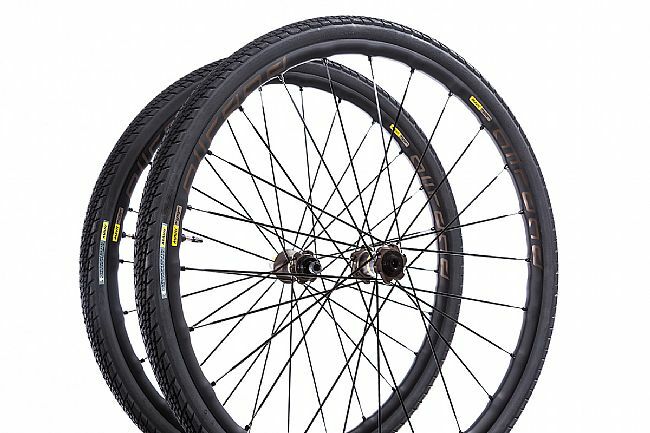 With an extra-wide 22mm internal rim width, this new wheelset is optimized to support tires from 32 to 64mm in width. This extra width at the tire level allows for added comfort, traction, and performance necessary for blasting well beyond the "roadway not improved" sign. 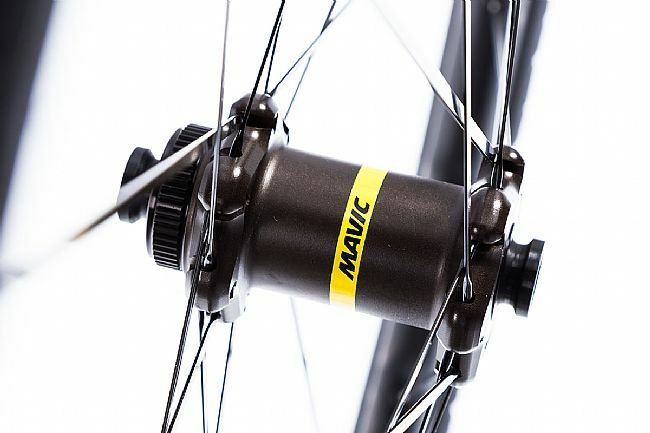 With their Fore Drilling technology, Mavic has greatly improved the Rim/Spoke interface, improving the stiffness and power transfer of the wheels without affecting the rim bed or the ease of spoke adjustment. 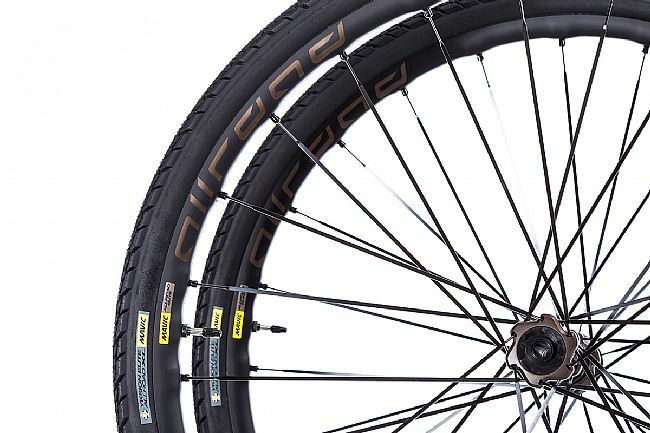 With the UST tubeless technology, setting these wheels up for tubeless riding is effortlessly easy, offering you a pinch flat-proof ride with added comfort. 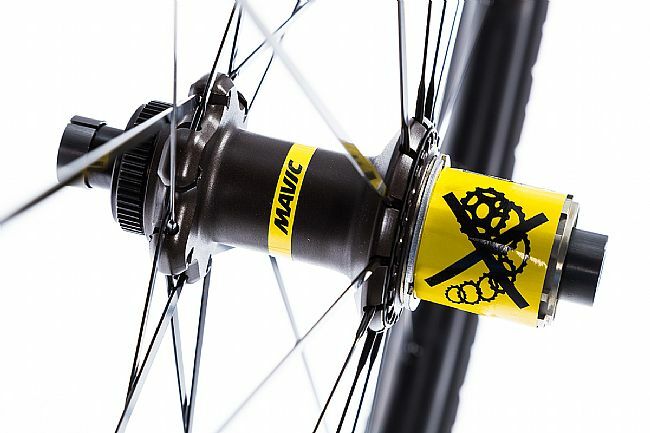 Down below, Mavic's alloy hubs are available in either 6 Bolt or Centerlock versions, providing powerful and reliable braking in all conditions and all terrains. With dual thru axles (9 Front, 12 Rear), the AllRoad Elite provides confidence-inspiring responsiveness for diving into aggressive corners, or making last-minute line alterations. 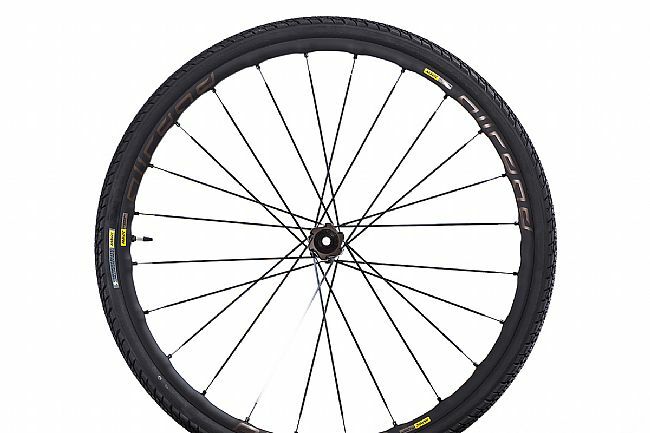 The Mavic 2018 AllRoad Elite Disc UST Wheelset includes 700x40c Mavic Yksion Elite Allroad tires, Mavic tire sealant (rear wheel), specific disc bolts, UST valve and accessories, and a user guide. Axle adapters not included. 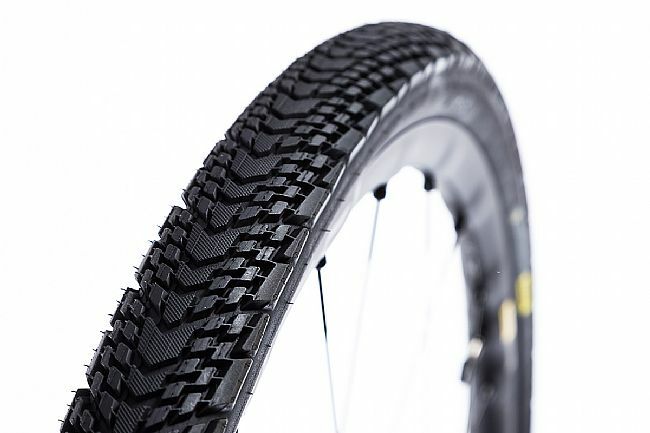 Extra-wide 22mm internal rim profile supports tires up to 64mm wide. Superlight ISM 4D Rims with Fore Drilling improve overall wheel stiffness. 24 bladed steel spokes front and rear efficiently distribute torque. 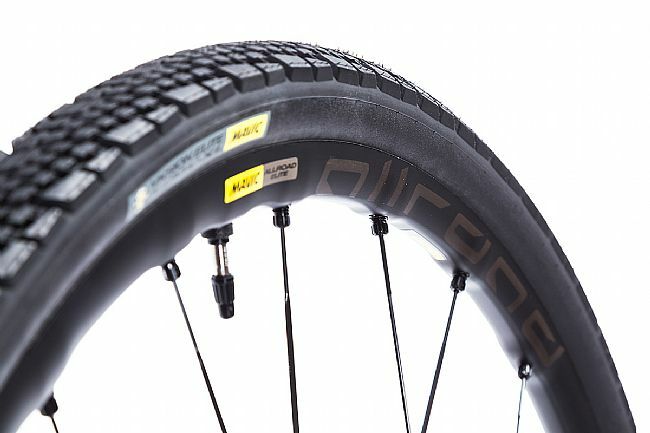 UST-compliant rim is tubeless ready. 6 Bolt or Centerlock disc rotor compliant.